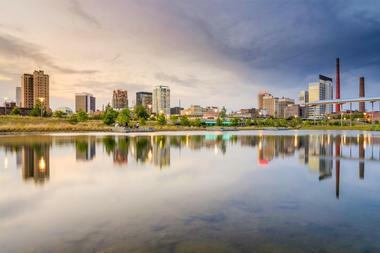 Alabama has an abundance of must-see attractions, including beautiful gardens, unique museums and famous attractions in cities like Birmingham, Montgomery, Huntsville, Gadsden, Florence and Mobile. 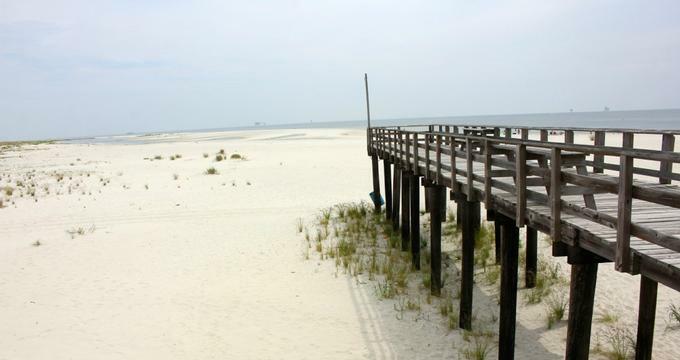 Alabama also offers fun water parks, great restaurants, breweries, theaters, nature areas and sandy beaches on Dauphin Island and along the Gulf Coast. Here are the best things to do in Alabama. 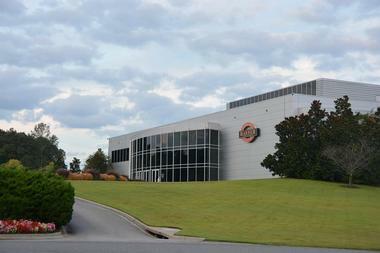 This Smithsonian Affiliate in Huntsville is also NASA’s Marshall Space Flight Center official visitor center. 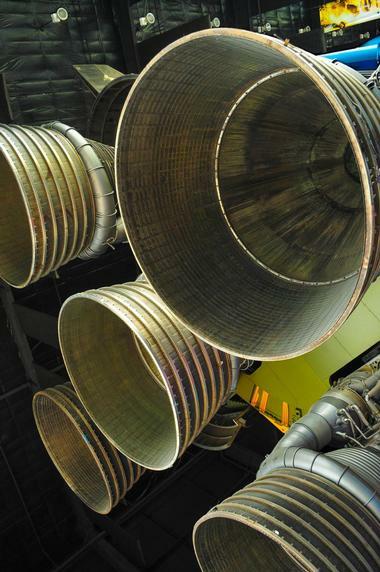 The U.S. Space and Rocket Center holds one of the world’s largest collections of rockets and space memorabilia and is one of the top Alabama attractions. Here, visitors can learn all about space from the historic Space Race through the evolution of the Space Shuttle to the International Space Station. With simulators, interactive exhibits, displays and theaters, GulfQuest National Maritime Museum is a must-see attraction. It is the only maritime museum in the world dedicated to the economic, historical, and cultural significance of the Gulf of Mexico. GulfQuest’s SS McLean, its container ship, represents the idea of "containerization," an idea advanced in the 1950s. Located downtown on the Mobile River, GulfQuest is one of the nation’s only interactive maritime museums. The exhibits are housed on the decks of a life-sized container ship replica, so there is much to see and do, and there are plenty of spots to enjoy the view of the Mobile River and the Mobile port. The Alabama Wildlife Center is the state’s largest and oldest wildlife rehabilitation facility. 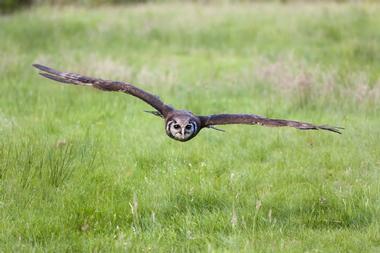 Annually, it cares for nearly 2,000 wild birds from over 100 species. It is a nonprofit organization whose purpose is to provide rehabilitative and medical care for the state’s orphaned and injured native birds to enable their return to the wild, and to offer education that heightens people’s appreciation and awareness of the state’s native wildlife. Its primary services are a wildlife helpline, a native wild bird rehabilitation clinic, and educational programs. It was founded in 1977 as a volunteer organization, and since then has aided more than 50,000 wild animals. 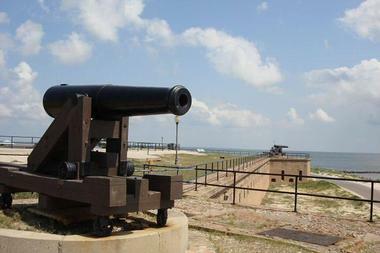 Construction on Fort Morgan by the U.S. Army Corps of Engineers began in 1819. 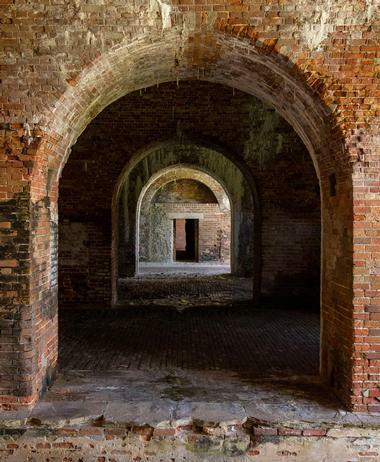 Fort Morgan was completed in 1834 and seized by troops of the State of Alabama on January 4, 1861. Starting in 1895, the U.S. Army Corps of Engineers decided to build a new fortification system at the fort. The brick fort was replaced by reinforced concrete batteries as the main means of protecting Mobile Bay. During war time, underwater mines protected Mobile Bay and for 23 years Fort Morgan was the state’s biggest permanent military base; in fact, 2,000 troops were stationed here during World War II. At the war’s end, Fort Morgan's garrison was reduced, but the its role as a coastal defense post was not over: In November 1941 the U.S. Navy retook the fort and in 1942 the 50th Coast Artillery Regiment renewed the fort's coastal defense mission. In July 1944, Fort Morgan was permanently abandoned. 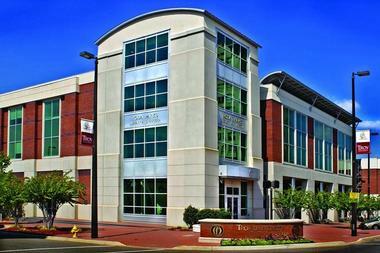 The Birmingham Civil Rights Institute in Birmingham is an educational and cultural research center dedicated to promoting a deeper understanding of civil rights developments in the area with an increasing move to emphasize the universal struggle for human rights. the Birmingham Civil Rights Institute views past lessons as the key to defining our future. It opened its doors in 1992 and since then has been visited by more than two million people from across the globe and all 50 states. Each year, the BCRI reaches more than 140,000 individuals through group tours, teacher education, outreach programs, after-school and public programs, archival collections, and exhibitions. The Huntsville Botanical Garden is open throughout the year and visitors can see an aquatic garden, a wildflower and nature trail as well as many plant collections and specialty gardens. The Nature Center and Children’s Garden offer guests the country’s largest seasonal butterfly house and specialized gardens geared to younger people. Adults and children will both love a walk through the dinosaur garden, storybook garden, and space garden. Family festivals include Huntsville Blooms, Beaks and Barks, the Galaxy of Lights, and the Scarecrow Trail. The garden has a gift shop, outdoor and indoor facility rentals, and programs for all ages. Each season, something is in bloom at Bellingrath Gardens. Wintertime features more than 400 varieties of camellias; during the spring, azaleas are everywhere; and summer brings hydrangeas, roses, and tropical plants and in the fall, visitors will find an amazing display of cascading chrysanthemums. 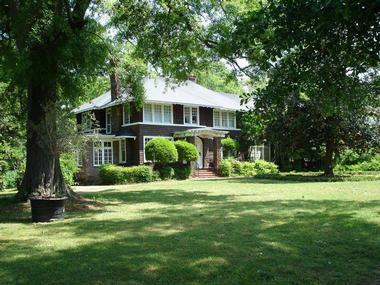 The 10,500-square-foot home was designed by the Mobile architect, George B. Rogers, and built in 1935. The exterior features handmade brick and the ironwork is from the Southern Hotel. The elements of the entire home are intended to give it a Gulf Coast flair. Rogers wanted the guests to think of the house as a home rather than a mansion, and it was built to reflect the region’s architectural history. Dr. Milton founded the Southeastern Raptor Center in the mid-1970s when several injured birds were brought to the College of Veterinary Medicine and Auburn University was asked to become a hub for rehabilitation in the Southeast. In the late 1970s, volunteer work and donations provided the labor and materials to build a raptor barn. Alligator Alley is a farm that was established in 2004 and is designed as a natural environment. The alligators housed here were rescued from places that represented a danger to them. Guests may start their guided adventure by strolling to the elevated viewing platform, from which one can view over 450 alligators – from babies to mature adults – as they relax, sunbathe, court and nest. The adventure continues with a nature walk on the elevated boardwalk to see the animals in their natural habitat. 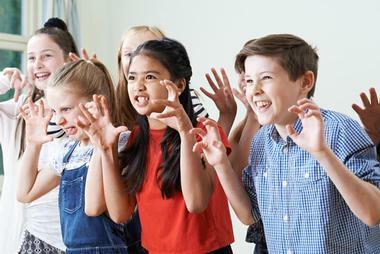 Along the way, other creatures, such as turtles, ospreys, owls and bull frogs, join them. After the guided adventure, visitors are welcomed into the gator station, where they can hold a baby alligator. Feeding sessions occur three times daily, and guests are invited to feed the alligators. The Dexter Parsonage Museum was home to 12 pastors of the Dexter Avenue King Memorial Baptist Church and, in 1982, it earned a spot on the National Register of Historic Places. Museum guests can get to know the place where Dr. Martin Luther King and his family lived from 1954 to 1960. The Estuarium draws the visitor’s attention to the four key habitats of coastal Alabama. It features a 7,000-gallon sting ray touch pool, a 10,000-square foot exhibit hall, and the Living Marsh Boardwalk. The Birmingham Museum of Art, founded in 1951, contains one of the Southeast’s finest collections and is supported by a lively educational program. More than 25,000 objects are in the collection, representing cultures as varied as European, Asian, African, American, Native American, and Pre-Columbian. Highlights include Asian art as well as a collection of Vietnamese ceramics, Renaissance and Baroque paintings, and other works. The museum also features a remarkable Wedgwood collection. The organization connects with area residents through curated exhibitions and various educational programs. The Rosa Parks Museum is intended to interpret and uphold for the public benefit, enjoyment and education, materials linked to the individual accomplishments and events of the Montgomery Bus Boycott. It features a permanent exhibit, temporary exhibit space, a time machine, classrooms, archives, a conference room, and an auditorium. The museum was constructed where the Empire Theatre once stood – where Mrs. Parks, in 1955, made her historic stand. Six distinct areas tell the story of the courage and bravery of the early soldiers for civil rights. There is an interpretive museum in the building that also contains the TROY-Montgomery Campus Library. The Rosenbaum House is the only structure in Alabama designed by Frank Lloyd Wright and the only house of its kind in the southeast that can be viewed by the public. 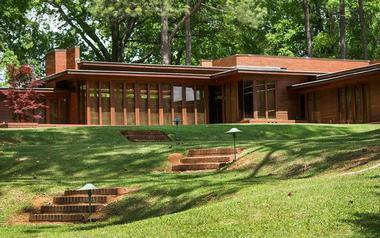 The house, of Usonian design, was offered by Wright to middle income families as a low-cost home. It was built for the newly married couple Mildred and Stanley Rosenbaum in 1939, and at the time measured 1,540 square feet. The U.S. Veterans Memorial Museum is dedicated to historical preservation and public education. The museum is also committed to disseminating and promoting the accomplishments of women and men in the American military. As a point of emphasis, it draws visitors’ attention to those who served in World War I and later conflicts and whose families and survivors can rely on the museum to reminisce about their own experiences and those of relatives. 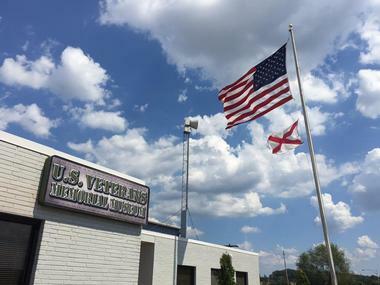 Alabama’s House of Representatives has designated the museum as the state’s Veterans Memorial Museum. The U.S. Veterans Memorial Museum shows over 30 military vehicles from World War I to the current day as well as artifacts, tableaus, and other memorabilia which go back as far as the Revolutionary War. 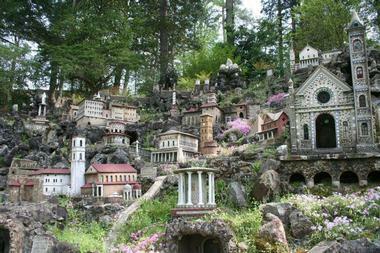 The Ave Maria Grotto is on the grounds of Alabama's only Benedictine Abbey and comprises over 125 miniatures that are reproductions of famous shrines, churches, and buildings. Encompassing more than three acres, this miniature area of stone and concrete creations welcomes visitors from across the globe. Known widely as "Jerusalem in Miniature," the miniatures are the life work of Brother Joseph Zoettl of St. Bernard Abbey who began the project as a hobby. He was born in Landshut, Bavaria, in 1878, and arrived at the abbey in 1892. He became a Brother in the Order and was called to the power plant for the organization, and it was while he was there that he pursued his hobby that fascinates guests to this day. Vulcan, Birmingham’s colossal statue, is the largest cast iron statue in the world and widely held to be one of the most remarkable civic art works in the country. It was created by an Italian artist and cast from local iron in 1904. Thanks to private-public partnerships and a successful multi-million dollar campaign, Vulcan, this symbol of the city of Birmingham and the country’s steel and iron industries, has been preserved as the focal point of an expanded and rehabilitated park that is now called the Vulcan Park and Museum. The Vulcan Park Foundation runs the Vulcan Park and Museum and its mission is to promote and preserve Vulcan as a symbol for the region, to highlight the city’s culture and history, and to encourage the area’s exploration. George Barber’s passion for speed spurred his idea for this museum. He raced Porsches in the 1960s and held 63 first-place wins. Since the world’s best car collections had already been established, Barber listened to his old friend Dave Hooper — a motorcycle aficionado who ran Barber's delivery fleet for 27 years — who suggested that Barber focus on motorcycles. Barber seized the opportunity to build the world’s largest and best motorcycle collection. With its unrivaled attention to detail, the museum is home to over 1,400 motorcycles covering over 100 years of production. On any given day, more than 650 bikes can be viewed, and examples from 20 countries are represented. Enthusiasts can see famous bikes ranging from Harley-Davidson, Indian, and Honda to Showa, Cagiva, and DSK. Fort Gaines stands on Dauphin Island and offers great vistas and panoramic views for visitors to marvel at. For more than 150 years, the remarkably preserved ramparts of the fort have guarded the entrance to Mobile Bay, but due to continuous shoreline erosion, the fort itself has been designated one of the country’s eleven most endangered historic sites. While they created a new nation, the Confederates essentially duplicated the old Union’s institutions, such as the White House. They established a navy, an army, and a post office – all the necessary departments for a functioning government – and so reasoned that they should provide their new Chief Executive, Jefferson Davis, with a residence. Bryant-Denny Stadium on the University of Alabama campus is rapidly becoming one of the nation’s key college football venues. This history-rich facility ranks among the country’s top five on-campus football stadiums. It boasts a 101,821 seating capacity following its latest expansion in 2010. This project is the fourth expansion of the stadium since 1988 and its seventh in its history. The stadium’s evolution has been significant – all the way back from its origins in 1929 when 12,000 seats were built for the team. The team’s first game was on October 5 when it played Ole Miss. The field is grass. 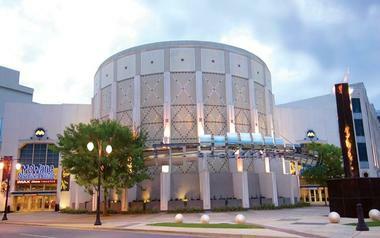 McWane Science Center has many permanent exhibits as part of its science education experience. Such exhibits include Explore! Collections Center, Itty Bitty Magic City, NatureScope, Alabama Dinosaurs, Sea Monsters, the Shark and Ray Touch Tank, Science on a Sphere, the Fox 6 Weather Lab, High Cycle, the World of Water Aquarium, and the IMAX Dome Theater. However, the center does not only focus solely on science. It strives to inspire children’s learning through STEM and believes that great STEM learning features inquisition. 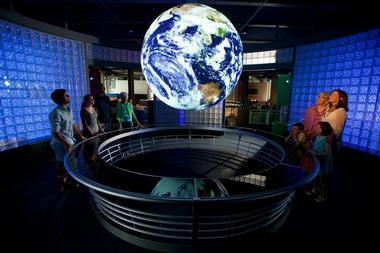 To accomplish this, the McWane Science Center utilizes exhibits and hands-on education, experiments, and programs, and is affiliated with the Association of Science-Technology Centers. 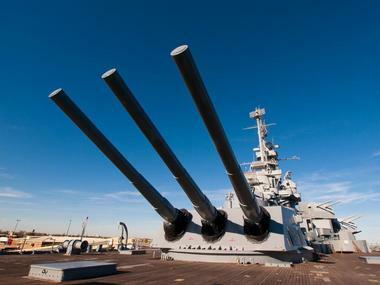 The USS ALABAMA’s keel was laid on February 1, 1940. When hostilities broke out, her hull construction was actually nearing completion and, about two years later, the new battleship was launched in a ceremony attended by national figures. The new ship was placed under full commission on August 16, 1942, and Captain George B. Wilson was made its commander. Next read: Noccalula Falls Park in Gadsden, Alabama. This world-famous attraction invites guests to join them for race weekends in a most unusual way – by camping on the grounds. 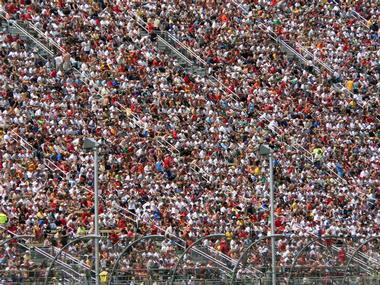 Talledega Superspeedway offers infield RV camping, infield tent camping, outside camping, and free camping. Once on the website, a visitor can select the type of camping they intend to be doing and the website provides a number of options. Another appealing feature of the speedway is its brand-new Party Patio, which offers guests a view of the full track. Weekend packages, Saturday-only and Sunday-only tickets are available for this new location. It is also noteworthy that the raceway offers premium seating options, plus other exciting experiences like pre-race pit access. The mission of the Scott and Zelda Fitzgerald Museum and its board of directors is multifold: to protect and preserve the last extant home where the Fitzgeralds lived as a family; to be faithful stewards of the various artifacts in its collection; to educate visitors about the legacies and lives of Zelda and Scott Fitzgerald; to continue Scott Fitzgerald’s tradition of encouraging blossoming writers by sponsoring author mentoring and writing programs; and to obtain new artifacts so that the public may see them on view. The museum also seeks to show its guests the truth about the couple’s lives, become motivated to read Scott Fitzgerald’s books, and witness great artwork.